I scream. You scream. We all scream for ice cream . . . unless you’re from LA, where consuming ice cream is a guilty pleasure that you’re discreet about. 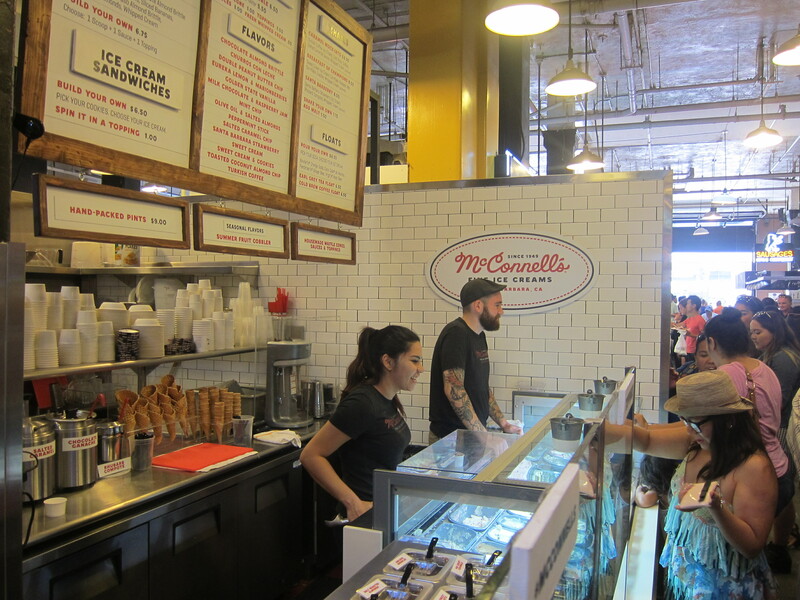 But when Angelenos are looking to quietly indulge in creamy frozen bliss, there are thankfully a lot of great choices. 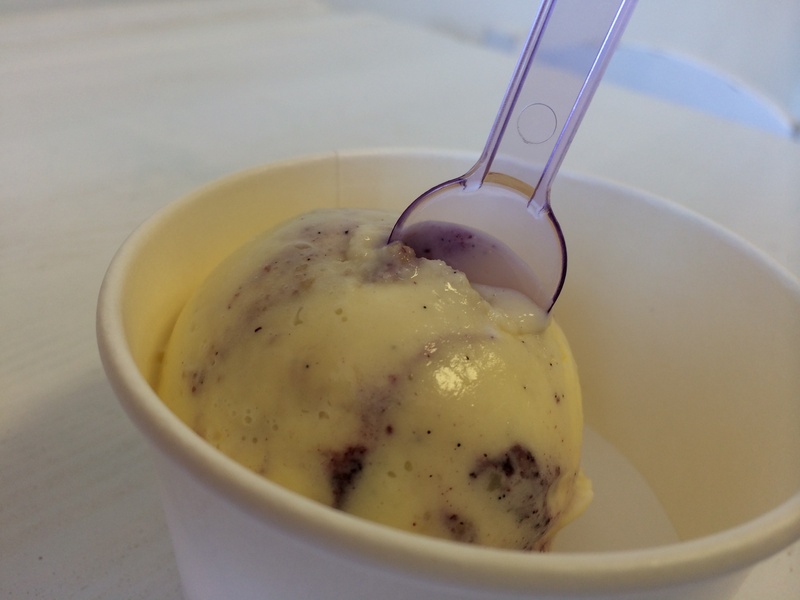 The latest craze is artisan ice cream shops that produce small batches of gourmet product with a high cream content, top notch ingredients, and flavors that are often exotic and unusual. 1. Mother Moo Creamery (17 Kersting Ct in Sierra Madre) Located in the quaint little village of Sierra Madre, just east of Pasadena, this is my new favorite ice cream place in the city. 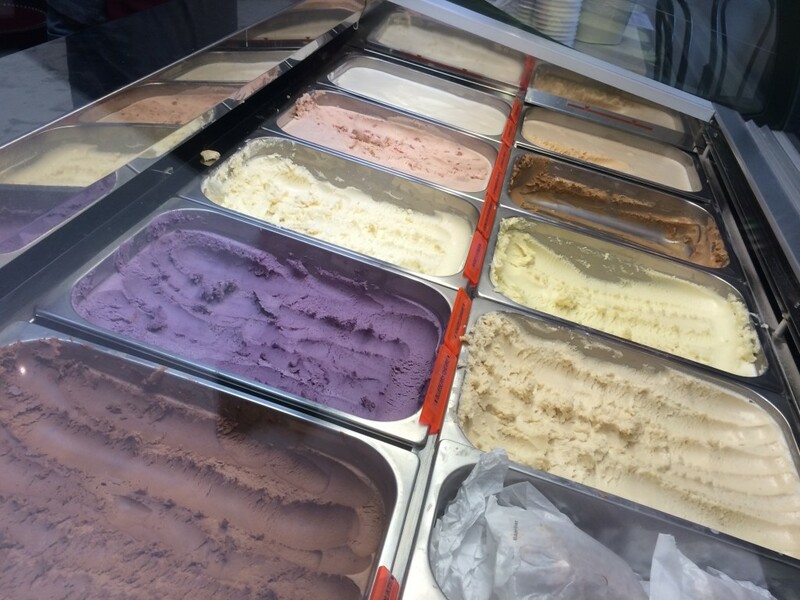 There are so many amazing flavors here, it’s a challenge to choose just one or two. Recommended flavors: Classic Butterscotch, Salty Chocolate and Brownie. 3. 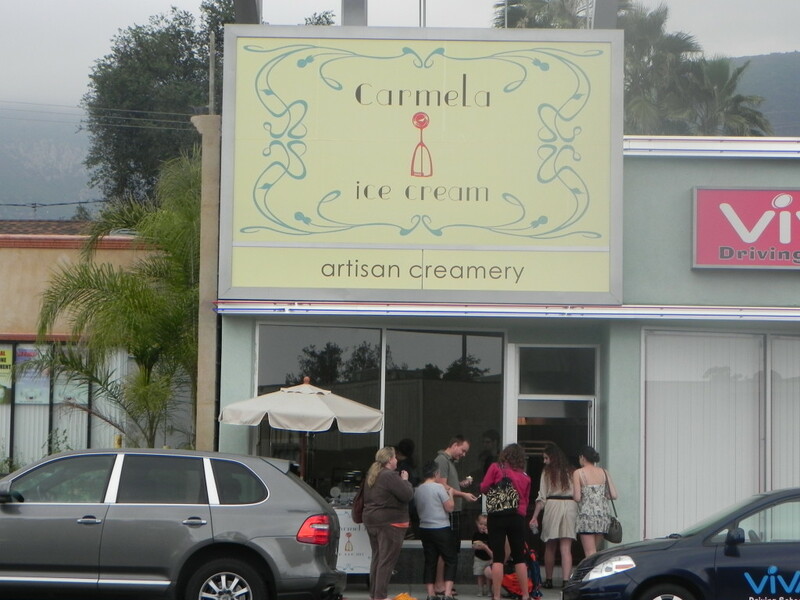 Sweet Rose Creamery (225 26th St #51, Santa Monica in the Brentwood Country Mart, 826 Pico Blvd in Santa Monica, and 7565 Beverly Blvd, Los Angeles in Mid-City). 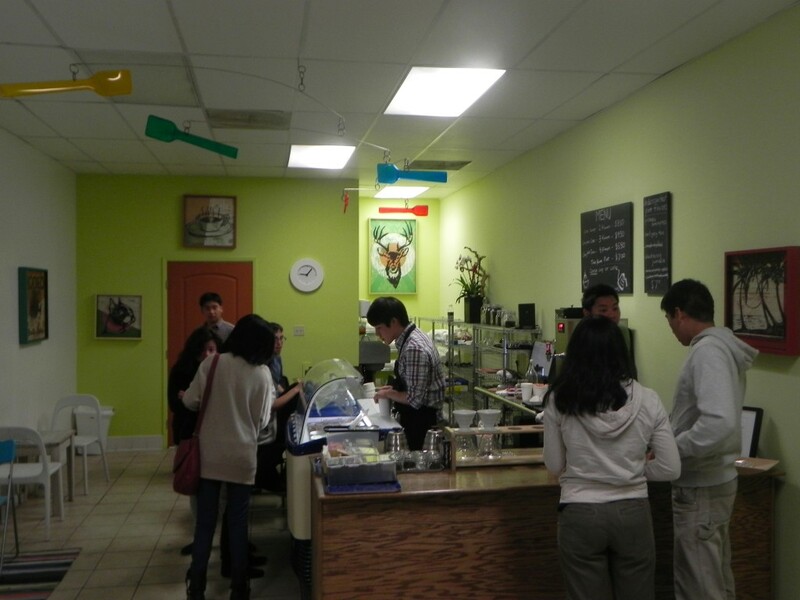 Everything about Sweet Rose is outstanding and the choices of ice creams and toppings are amazing and extensive. 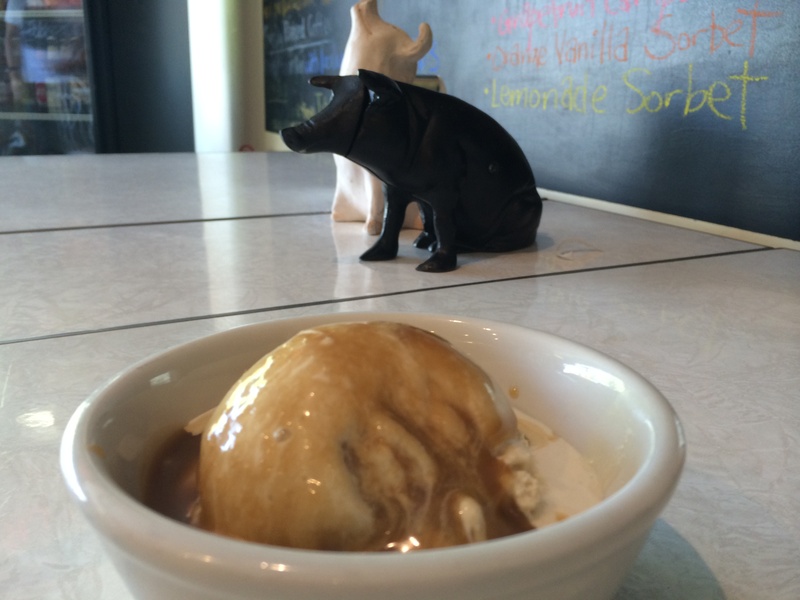 Recommended Flavors: Salted Caramel, Fresh Mint with Homemade Chocolate Chips, Summer Corn. 4. 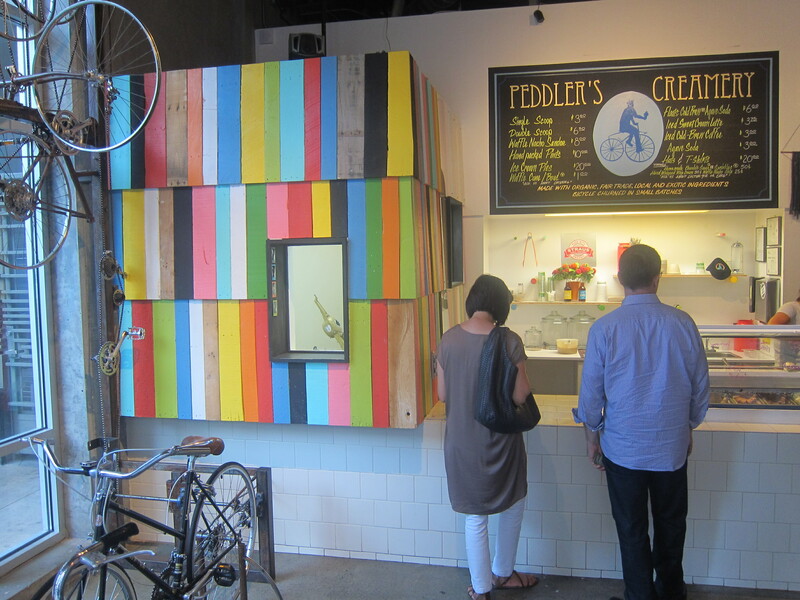 Peddler’s Creamery (458 S. Main St, Los Angeles in Downtown) Hipsters love ice cream too, especially at this cool looking shop which serves small batches of bicycle-churned ice cream made with organic, fair-trade, locally sourced ingredients. A percentage of their profits go to social and environmental causes. Recommended Flavors: Chocolate Cacao, Pancake Batter, Cinnamon. 6. 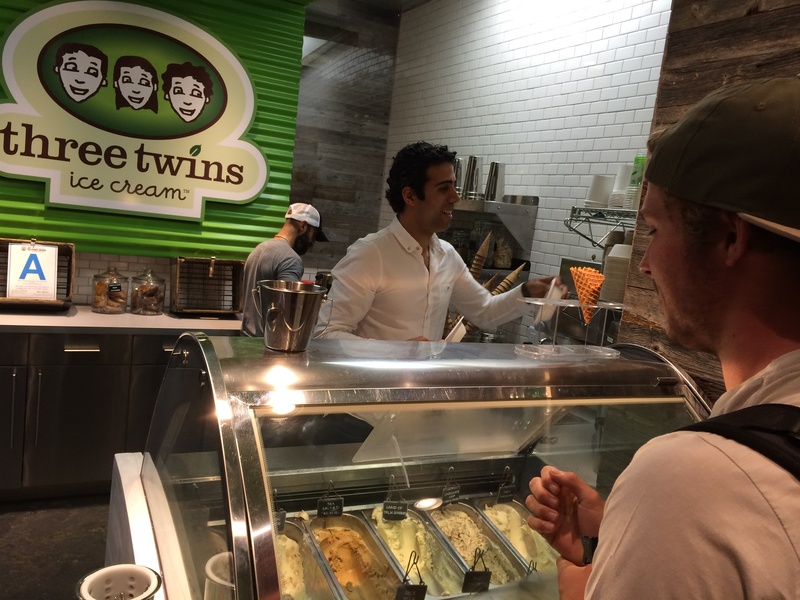 Three Twins Ice Cream (2726 Main St in Santa Monica) This Northern California import, which opened only a few months ago, has wickedly good organic ice cream. I love that a “single” is actually two flavors! Recommended flavors: Lemon Cookie, Bittersweet Chocolate and Dad’s Cardamom. 7. Quenelle (2214 W Magnolia Blvd in Burbank) This cute little shop opened just last year on a hip and funky stretch of Magnolia Boulevard in the Valley. Their Blueberry Pie flavor (pieces of Blueberry pie in creamy vanilla ice cream) is pretty much mandatory when ordering. Other recommended flavors: Vanilla Mascarpone, Strawberry Shortcake, Miso. 9. Fosselman’s Ice Cream Company (1824 W Main St in Alhambra) This San Gabriel Valley landmark is over 91 years old and is still run by the same family. 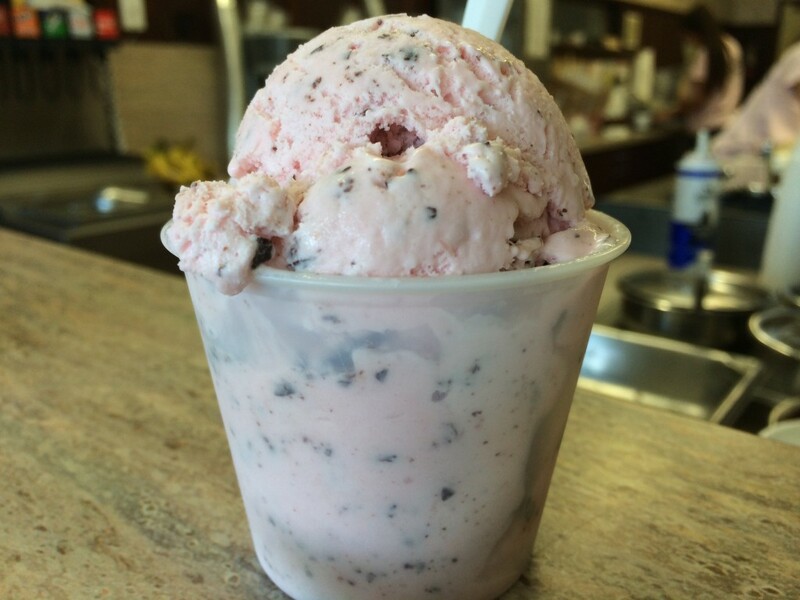 If you don’t want to drive all the way to Alhambra, you can always find a few of their super tasty flavors at Brian’s Shaved Ice in the Valley and on Sawtelle in Little Osaka. Recommended flavors: Chocolate Dipped Strawberry, Butter Pecan, Lemon Custard, Toasted Almond. 10. 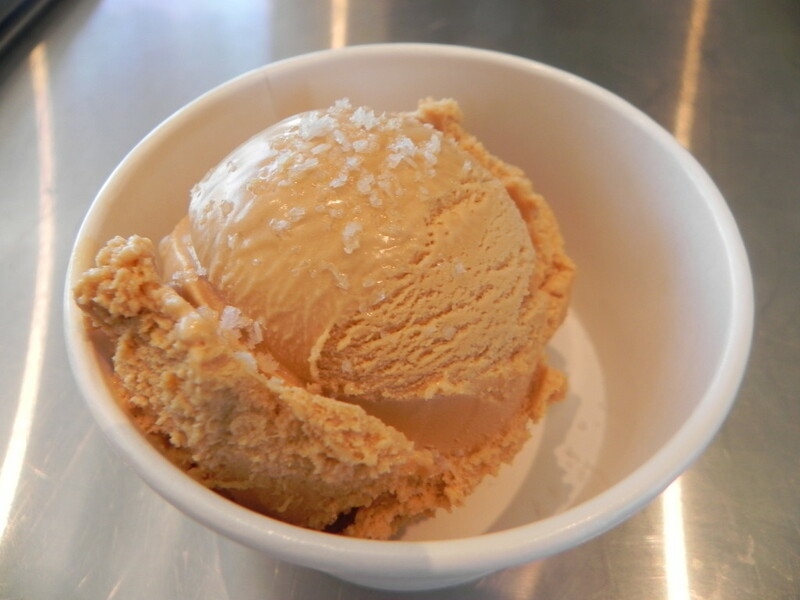 Scoops (712 N. Heliotrope Dr, Los Angeles in East Hollywood and 3400 Overland Ave, Los Angeles in Palms) One of the first Artisan Ice Cream places in the city, Scoops is constantly offering new and exotic flavors. For best selection, get there early in the day because flavors often run out. Recommended flavors: Brown Bread, Red Velvet Toffee, Horchata. 11. Neveux Artisan Ice Creamery & Espresso Bar (7407 ½ Melrose Avenue, Los Angeles in West Hollywood) The service is not great here, but the ice cream is. It’s perfect for capping off an afternoon of vintage clothing and vinyl record shopping on Melrose. 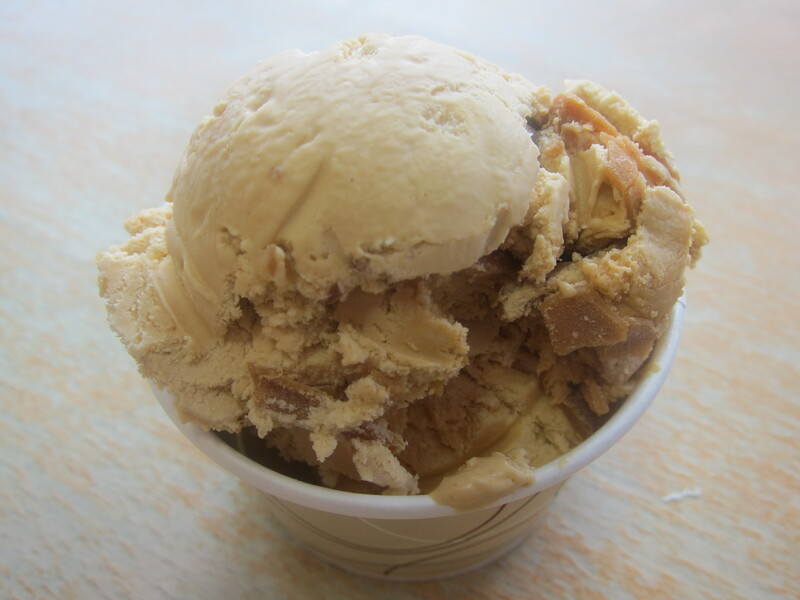 Recommend flavors: Roasted Banana and Caliente Cinnamon Chocolate. If you enjoy Consuming LA, please subscribe, like me on facebook, and/or follow me on twitter at the top right of this page. You can also find me on Instagram @ConsumingLA. And please forward to your friends! Don’t think it’s open yet. Looking forward to it too! This list is incredible! I clearly need to do more research. I hear that Big Gay Ice Cream, an NYC shop that is opening downtown some time soon, is supposed to be amazing too. 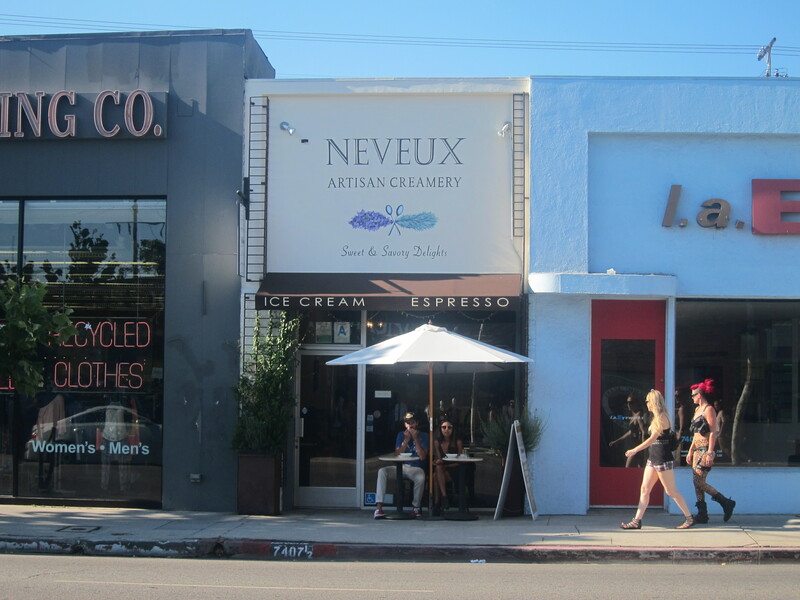 I also wanted to add that Neveux has terrific coffee. Thanks! Heard about Big Gay Ice Cream in NYC but didn’t know it was coming here. I love Mashti Malone! Try the fadouleh & Rose water and saffron also! But just like you said my boyfriend tried a regular flavor, the chocolate, and he loved it!